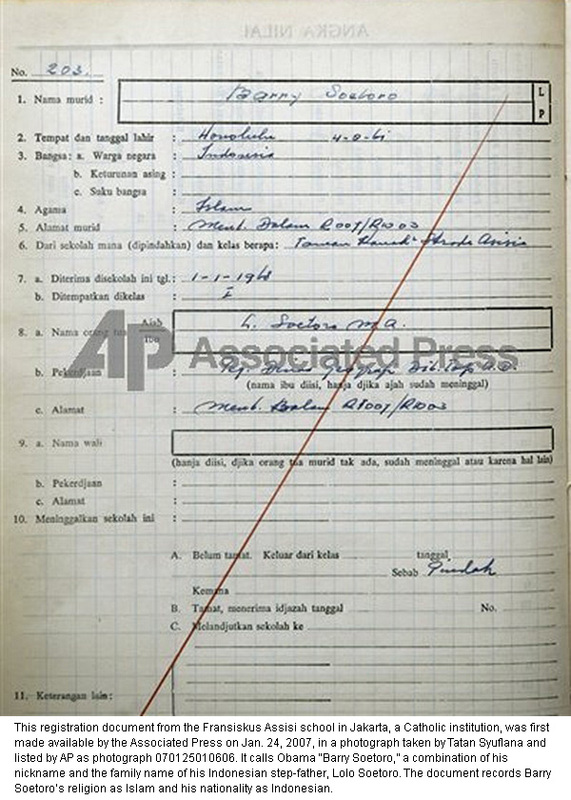 http://www.JewishWorldReview.com | With Colin Powell now repeating the lie that Barack Obama has "always been a Christian," despite new information further confirming Obama's Muslim childhood (such as the Indonesian school registration listing him as Muslim), one watches with dismay as the Democratic candidate manages to hide the truth on this issue. Instead, then, let us review a related subject - Obama's connections and even indebtedness, throughout his career, to extremist Islam. Specifically, he has longstanding, if indirect ties to two institutions, the Council on American-Islamic Relations (CAIR), listed by the U.S. government in 2007 as an unindicted co-conspirator in a Hamas-funding trial; and the Nation of Islam (NoI), condemned by the Anti-Defamation League for its "consistent record of racism and anti-Semitism." 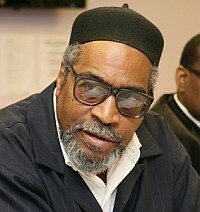 Kenny Gamble, or Luqman Abdul-Haqq, "amir" of the United Muslim Movement. The Mazen Asbahi connection: The Obama campaign's first Muslim outreach coordinator resigned after it came to light that he had served on the board of a subsidiary of the Saudi-sponsored North American Islamic Trust, with Jamal Said, another unindicted co-conspirator in the 2007 Hamas funding trial. Asbahi has ties to CAIR's Chicago and Detroit offices, to the Islamic Society of North America, yet another unindicted co-conspirator in the Hamas funding trial, and to other Islamist organizations. The Minha Husaini connection: The campaign's second Muslim outreach coordinator has an Islamist background, having served as an intern in the Muslim Public Service Network. Immediately upon her appointment by Obama, she met with a group of about thirty Muslims including such notorious figures as CAIR's Nihad Awad; the Muslim American Society's Mahdi Bray, who has publicly supported the Hamas and Hezbollah terrorist groups; and Johari Abdul Malik of the Dar Al-Hijrah Mosque in Falls Church, Va., who has advised American Muslims: "You can blow up bridges, but you cannot kill people who are innocent on their way to work." 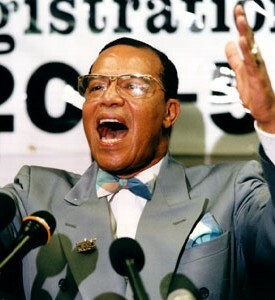 Louis Farrakhan, who calls Obama "the Messiah." Obama's long-time donor and ally Antoin "Tony" Rezko partnered for nearly three decades with Jabir Herbert Muhammad, a son of NoI leader Elijah Muhammad, and says he gave Jabir and his family "millions of dollars over the years." Rezko also served as executive director of the Muhammad Ali Foundation, a rogue organization that, without Ali's permission, exploited the name of this CAIR awardee. Jeremiah Wright, Obama's esteemed pastor for twenty years, came out of a Nation background, recently he accepted protection from an NoI security detail, and has praised Louis Farrakhan, the NoI's leader, as one of the "giants of the African American religious experience." Wright's church celebrated Farrakhan for his having "truly epitomized greatness." Farrakhan himself endorsed Obama, calling him "the hope of the entire world," "one who can lift America from her fall," and even "the Messiah." That Obama's biography touches so frequently on such unsavory organizations as CAIR and the Nation of Islam should give pause. How many of politicians have a single tie to either group, much less seven of them? John McCain charitably calls Obama "a person you do not have to be scared [of] as president of the United States," but Obama's multiple links to anti-Americans and subversives mean he would fail the standard security clearance process for Federal employees. Islamic aggression represents America's strategic enemy; Obama's many insalubrious connections raise grave doubts about his fitness to serve as America's commander-in-chief. "Miniatures: Views of Islamic and Middle Eastern Politics"
He's been so far ahead of the curve on radical Islam that it's scary. You read his columns here regularly, see what he can do with a lot more than 750 words! Sales help fund JWR. JWR contributor Daniel Pipes, director of the Middle East Forum, is the Taube/Diller distinguished visiting fellow at the Hoover Institution of Stanford University.